SATURDAY, FEBRUARY 27, 2016 from 10:30-12:30 p.m.
Baltimore’s Creative Alliance celebrates African History Month with a unique workshop for beginning and experienced singers Saturday, February 27 from 10:30 a.m. until 12:30 p.m. Vocalists of any genre will find a new and intriguing experience learning songs from the African Diaspora, including the countries of South Africa, Zimbabwe, Ghana, Nigeria and the Americas. The easy multi-part songs have irresistible melodies and rhythms, and include songs of worship, play, celebration and struggle. Written lyrics will be provided. Many consist of layers of differing melody lines that together create a mesmerizing sound. Some are accompanied by rhythmic movements and clapping patterns. Examples are “Hush,” an African-American gospel tune with very unusual multi-layer arrangement and “Za’mina Mina,” originating in Cameroon. This is the first time workshop leaders Elizabeth Melvin and Lauren Kelly-Washington have led a workshop together in Baltimore. They have collaborated on numerous other workshops and have a wonderful teaching chemistry. Their clear, relaxed style puts the participants at ease. Melvin is a multi-instrumentalist and vocalist who bring a lifetime of study and performance to her career as a teaching artist. Although she studied ethnomusicology in graduate school, her real life mentors include Cuban musicians who came over on the Mariel Boatlift and the late West African Griot Djimo Kouyate. Well versed in Caribbean music, she was a founding member of popular band Mama Jama, performing often with them in Charm City. She also performed extensively with Trinidad’s David Boothman. 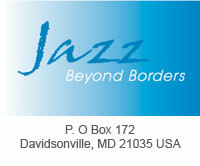 Melvin currently directs two world music community choirs, The Freedom Choir and the Annapolis Morning Song Circle. A graduate of the Community Choir Leadership Training institute in Victoria, BC, Canada, she has led workshops at Common Ground on the Hill, Tai Sophia, Unitarian Universalist Church of Silver Spring and Unity Center of Light. Lauren Kelly-Washington has had a lifelong involvement in world music and dance. She co-founded and performed with an a cappella women's world music group, Inkululeko, in Austin, Texas and worked with the late jazz singer Tina Marsh as well as an African Soukous band. She has taught movement and vocal workshops for all ages for over a decade. She chronicled her world music and traditional music favorites on her 2009 CD, With Open Arms. Creative Alliance is located at 3134 Eastern Avenue, Baltimore, MD 21224. The cost of the workshop is $25, or $22 for members. To register visit http://www.creativealliance.org/events/2016/african-odyssey-song.